Many organization follows these standard for their development practice. But in Oracle Development stack, Some of things are quite new. And reading this article further will be more interesting for them. Developer Cloud Service is answer for all support service you require. It comes with other cloud development services i.e. The DevCS is a complete development platform provided as a service to enable an agile development process and to automate DevOps & delivery. It covers most of the DevOps cycle including Continuous Integration, Continuous Delivery and Collaboration. 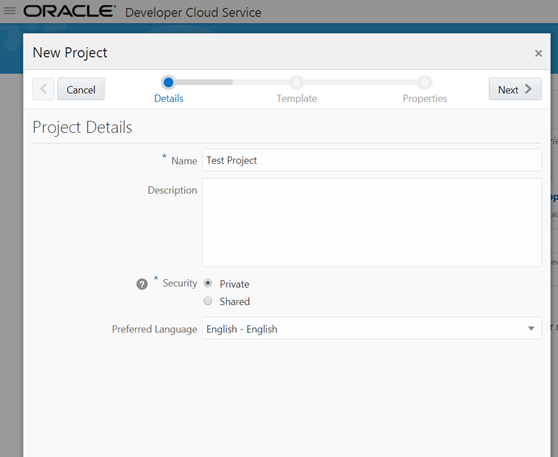 Oracle Developer Cloud Service is a collection of similar software and services hosted on Oracle Cloud. 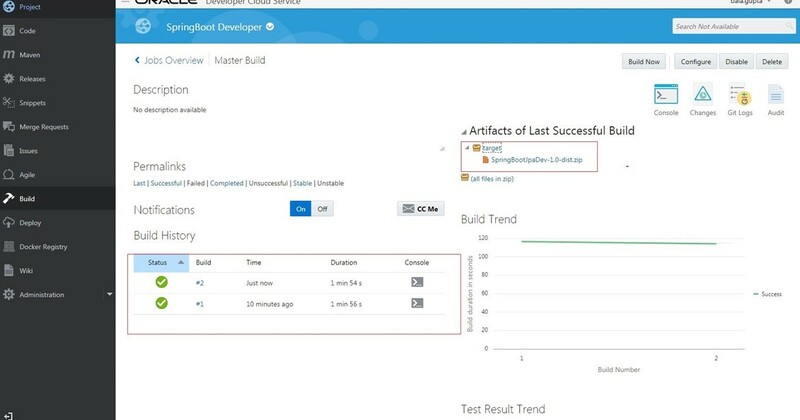 Oracle Developer Cloud Service helps you to manage the application development life cycle effectively through integration with Hudson, Git, Maven, issues, and wikis. 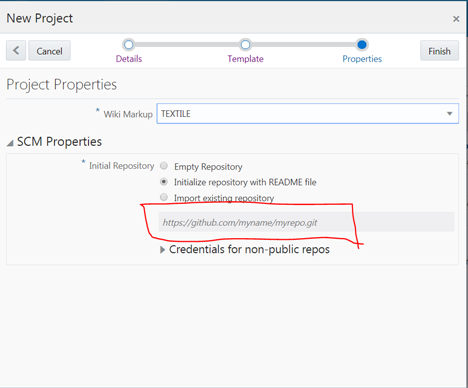 Using Oracle Developer Cloud Service, you can commit your application source code to the Git repository on the Oracle Cloud, track assigned issues and defects online, share information using wiki pages, peer review the source code, and monitor project builds. 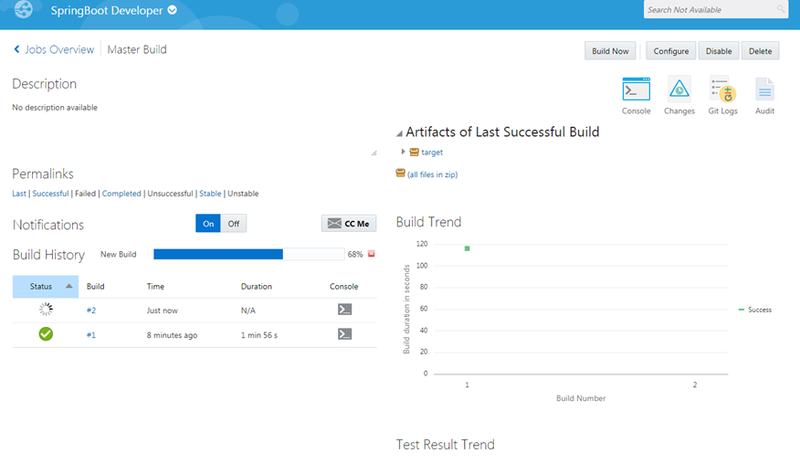 After successful testing, you can deploy the project to Oracle Java Cloud Service – SaaS Extension, publicly available Oracle Java Cloud Service instances, Oracle Application Container Cloud Service instances, or to an on-premise production environment. 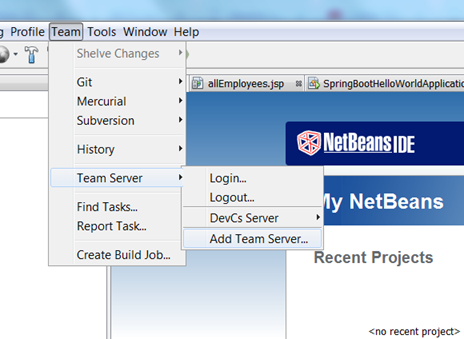 You can link DevCs with NetBeans and Jdeveloper very easily and work with it quite effectively. If your code is in external GitHub account, it can also map that and make it work for you. Looking at Oracle Development methodologies, DevOps is quite new terms and many organization is not ready with it. This can be great service for them . 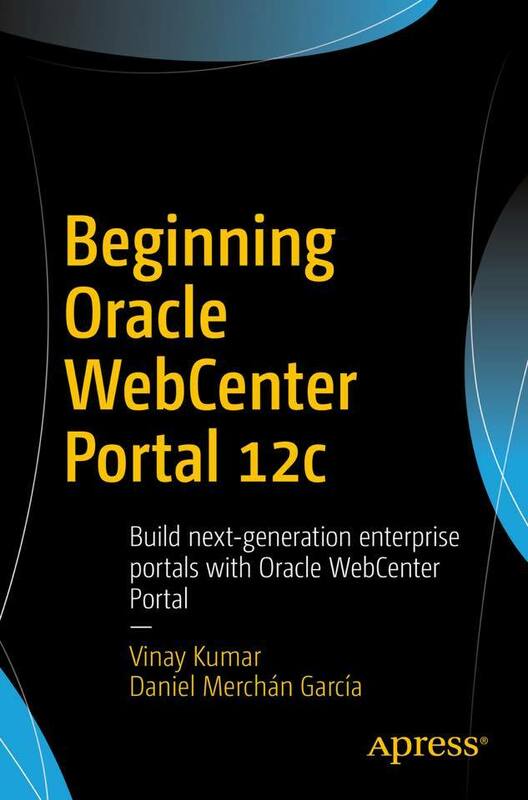 Specially Customer with Oracle Forms, Pl/Sql, Apex, ADF stack, this can be quite useful and you can set up whole environment in couple of hours. So definitely, it is worth for a give a try . 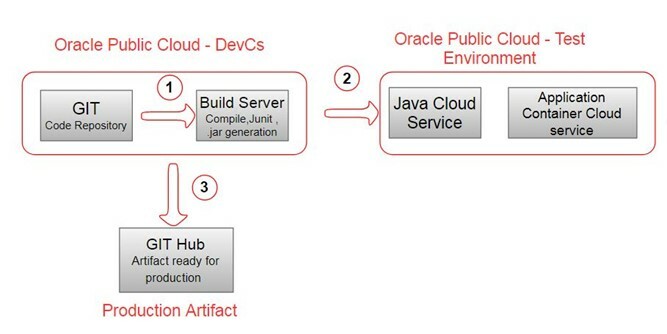 Use Case– An organization wants to setup DevOps practice with Oracle public cloud for Dev & test. However production still remains on premise. 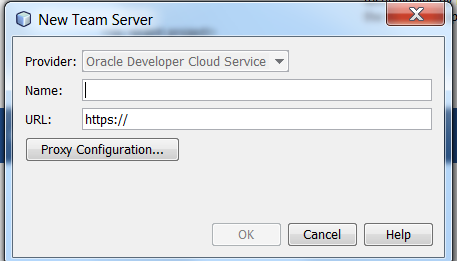 In such case Oracle Developer cloud service can deploy artifacts(e.g. 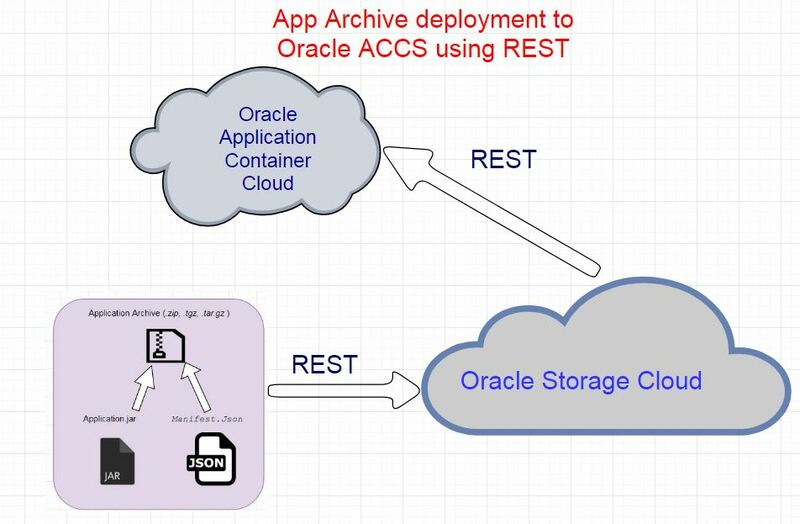 JAR file) to JCS (Java cloud Service) or ACCS (Application container Cloud service). For making deployment in production, We will make artifact ready for deployment to Production and place in separate Git Hub location. 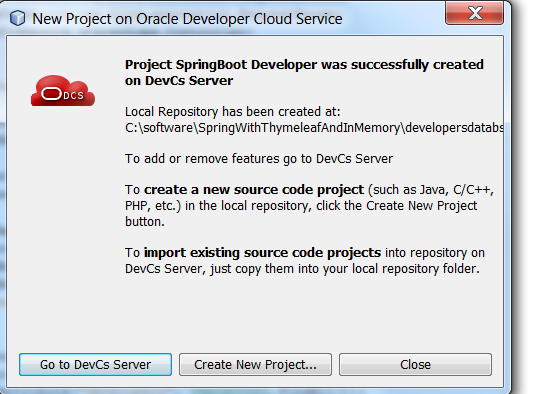 I have spring boot application in Netbeans. 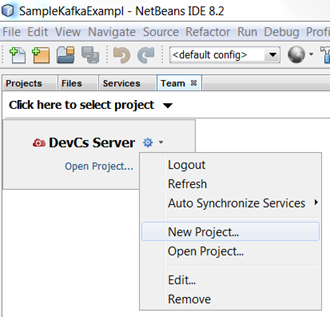 Create connection from NetBeans to developer cloud service. Click on Team- Team Server- Add new server. Provide credentials and url of DevCs. After making connection to DevCs, create new project in Developer Cloud service or open project , if project exist in DevCs. Navigate to DevCs server to see whether project created in console.Open DevCs console, new project will created successfully. You can also create project in DevCs console as well. Select Security as private or shared. If you have existing local github account. You can also import from there as well . Click on Finish. Alright , now project is created in DevCs , which we created from Netbeans. Now we will start code uploaded in Code section. 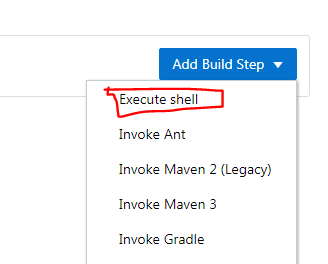 Now go to build section to create a build job. Here I have created a Job named “Master Build“. 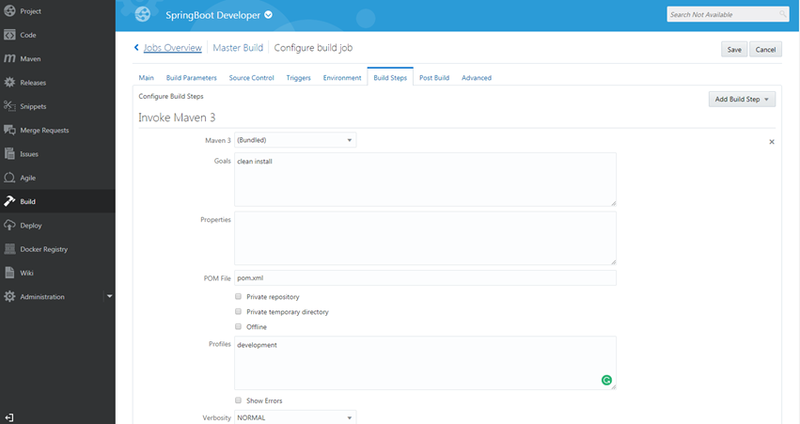 Go to the configure section of Master build. And click on Source Control tab. Here you need to configure repository info where code is checked-in. And then add maven goals and select pom.xml and provide profile. Publish Javadoc,configure to build other jobs. Click on Save. You can set trigger point of these build using schedule. Now click on Build now. It will run that job for building the repository and show you status of that job. You Can also see Git Logs, Audit , Junit test result. It will take a while and show you progress of build. You can also configure notification for successful and failed build. Now, we have generated artifact successfully. Now we can configure deployment to Oracle ACCS. Click on ‘Deploy’ menu option configure & Deploy application in your ACCS account. Select ACCS properties as follow and click save and Deploy. Now, you can see deployment status and artifact is deployed successfully to Oracle ACCS. 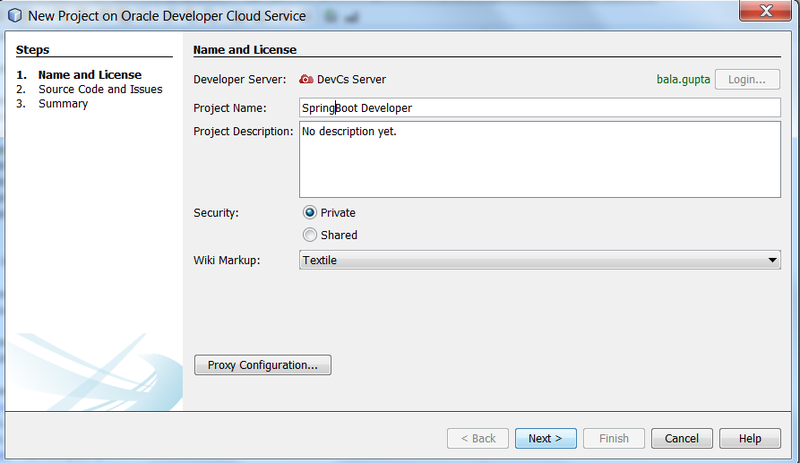 Similarly, you can deploy application to Java cloud Service and Java cloud Service- SaaS Extension. You can stop, redeploy and change configuration easily. Now, if place artifact to separate GitHub location, we can also write another build job for that. It will move artifact from DevCs to GIT Hub. Navigate to Build and Click on New Job. You can some command to copy archive to remote GitHub Location and push. Its normal command. That’s it. 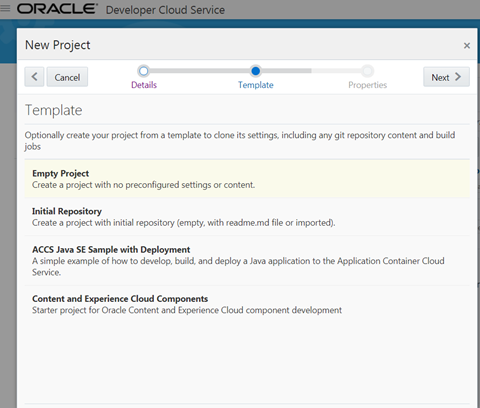 If you see, you can follow whole DevOps in Oracle Cloud easily and it will provide lots of features out of box. 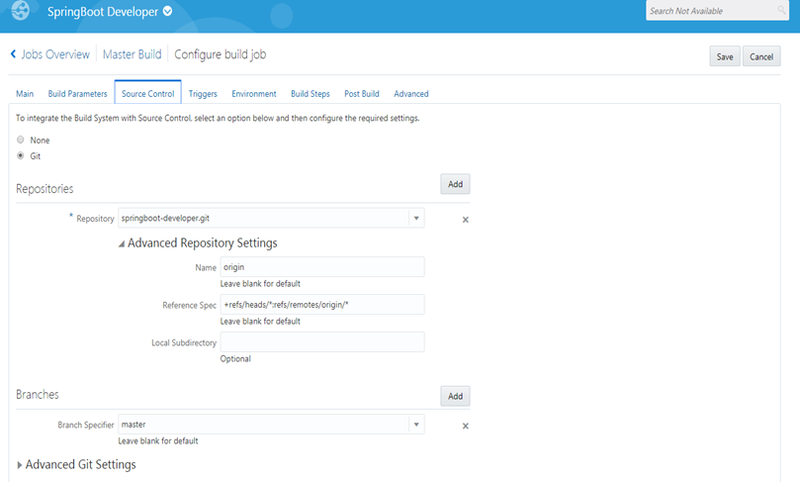 You can also configure on premise Jenkins with Developer Cloud Service using hook up. Read this Article. Keep looking this space for more article about Developer Cloud service in depth. Happy Learning Oracle Cloud. Aim- What is Docker and Docker Compose. I will try to explain about linux container then goes more into Docker and Docker Compose for a beginner. ● Scalability, maintainability, Agility, Portability. ● A continuum of abstraction levels. Linux Containers -contain applications in a way that keep them isolated from the host system that they run on. Containers allow a developer to package up an application with all of the parts it needs, such as libraries and other dependencies, and ship it all out as one package. And they are designed to make it easier to provide a consistent experience as developers and system administrators move code from development environments into production in a fast and replicable way. ● Use Linux kernel isolation features to give a VM like environment. ● Example: Lxc, lmctfy, Docker. ● An easy to use Linux container technology. ● It helps in application packaging and delivery. – Docker is lighter than virtual machines. – The size of Docker images is very small compared. – We can run more Docker container on a reasonably sized host. – Deploying and scaling is relatively easy. – Docker has less start up time. ○ With Cgroup we can implement resource accounting and limit. ○ Ensure that each container gets its fair share of memory, CPU, disk I/O. ○ Thanks to Cgroup, we can make sure that single container cannot bring the system down by exhausting resources. ● Union file systems: ○ Layered file system so you can have a read only part and a write part, and merge those together. ○ Docker images made up with are layers. ○ It helps to create an isolated workspace for each process. ○ When you run a container, Docker creates a set of namespaces for that container. ○ SELinux provides secure separation of containers by applying SELinux policy and labels. ● Docker daemon -This is the part which does rest of the magic and knows how to talk to the kernel, makes the system calls to create, operate and manage containers, which we as users of Docker dont have to worry about. 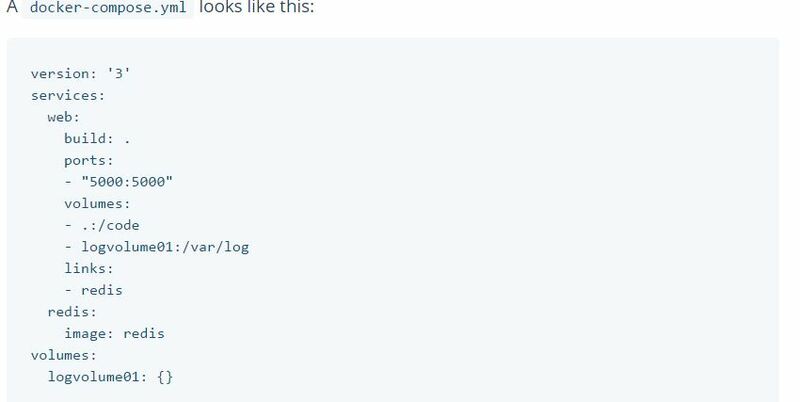 ● Docker client – This is the utility we use when we run any docker commands e.g. docker run (Docker container run), Docker images, docker ps etc. It allows us to run these commands which a human can easily understand. As you see above screen shot, we have docker client where the user performs build, pull and run operation.The client interacts with a host which contains different container, Docker Daemon and images via Registry. If you guy reading this line, then you must be getting something about docker now. You know basic components and vocabulary. Now let’s take an example of real life applications. ● One application consists of multiple containers. ● One container is dependent on another. ● Mutual dependency/ startup order. 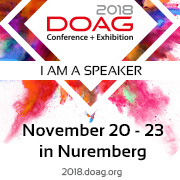 Take example of above image, this will look multicontainer docker .The containers include (1) NGINX container, (3) Tomcat containers, (1) MongoDB container, and (1) ELK container. But have’t docker came to help us, This look quite difficult process to manage it all. To rescue us, Docker Compose is there. 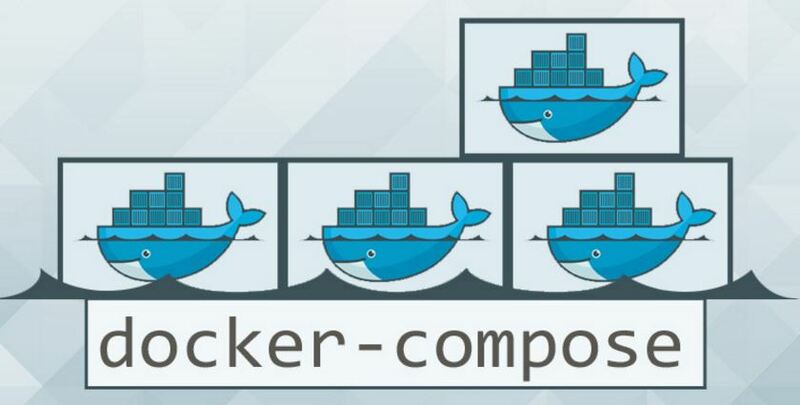 Docker Compose is a tool for defining and running multi-container Docker applications. With Compose, you use a Compose file to configure your application’s services. 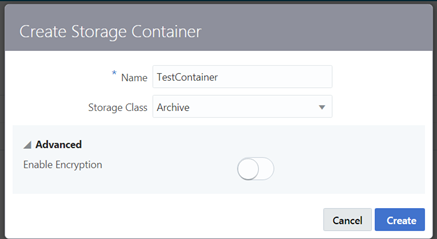 Then, using a single command, you create and start all the services from your configuration.Compose is great for development, testing, and staging environments, as well as CI workflows. ● Tool for defining and running multi-container Docker application.It is a YML file and compose contains information about how to build the containers and deploy containers. It is integrated with Docker Swarm. It competes with Kubernetes. Compose is basically a three-step process. 1- Define your app’s environment with a Dockerfile so it can be reproduced anywhere. 2- Define the services that make up your app in docker-compose.yml so they can be run together in an isolated environment. 3- Lastly, run docker-compose up and Compose will start and run your entire app.